The Attack Democrat--Nothing Conservative Here: Ask Republicans this question about the Ryan/Republican plan for abolishing traditional Medicare. Ask Republicans this question about the Ryan/Republican plan for abolishing traditional Medicare. When a Republican starts mouthing off about how the Ryan proposal to abolish Medicare simply replaces traditional Medicare with a health insurance program like government employees receive, ask him/her this. Will the premium support payments in Ryan’s plan be set by law as a consistent level of Government contributions, for example the premium support would cover 72% to 75% percent of the average premium year after year, regardless of how much the premium increases? Read him/her this section from the Federal Employees Health Benefits Program Manual. For most employees and annuitants, the Government contribution equals the lesser of: (1) 72 percent of amounts OPM determines are the program-wide weighted average of premiums in effect each year, for Self Only and for Self and Family enrollments, respectively, or (2) 75 percent of the total premium for the particular plan an enrollee selects. Ask the Republican: Will the Republican /Ryan plan for Medicare work like that? Will you guarantee by law that 72% to 75% of the health insurance premiums will be covered and covered forever regardless of how much the insurance companies want to charge? The answer, of course, is “No.” The Ryan plan will not come close to covering 72% or 75% of the premium costs. In fact, under Ryan’s plan as health insurance premiums increase, the percent the premium support payment will cover will DECREASE. Ryan claims that the premium support will be adjusted based upon the changes in the Consumer Price Index (CPI). However, health insurance premiums always increase at a rate faster than CPI. Consequently under the Ryan/Republican plan, year after year seniors will be paying more and more for their health insurance or will have to purchase less and less coverage to keep their out-of-pocket premiums affordable. 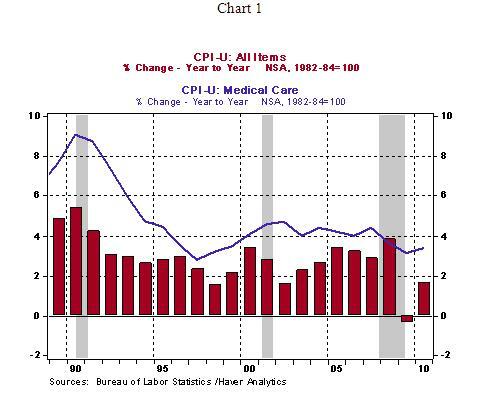 Show your Republican friend this chart which compares the CPI for all items vs the CPI for Medical care since1989. The Republican plan to destroy traditional Medicare is bad for the country and bad for seniors. The only group that will benefit will be health insurance companies. Tell Republicans—KEEP YOUR HANDS OFF MY MEDICARE OR YOU’RE GOING TO BE FIRED.